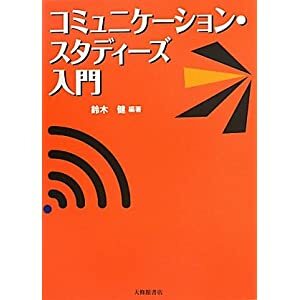 The following is a list of texts which contain material referred in the Multicultural Communication lecture on August 7th, 2012 at the Kanagawa Institute of Language and Culture. Doe,T.,Hurling,S., Kamada,Y., Mori, T.&Takayama,I. (2010).What do you think? Interactive skills for effective discussion. Tokyo: DTP publishing. Gaston, J. (1984). 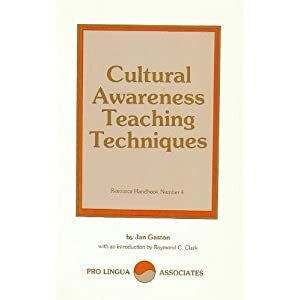 Cultural Awareness Teaching Techniques. Pro Lingua Associates. Kajiura, A. & Goodmacher, G. (2005). 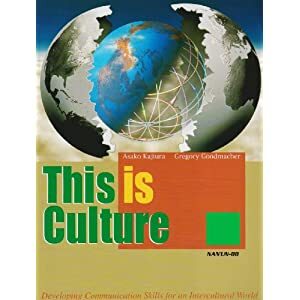 This is Culture -理論と実践で学ぶ異文化間コミュニケーション. 南雲堂. Shaules, J., & 珠理阿部. (2007). 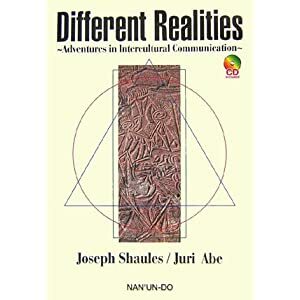 Different Realities~Adventures in Intercultural Communication 異文化間コミュニケーション―己を知る、相手を知る. 南雲堂. Shaules, J., & Abe, J. (1998). Culture in Action [カルチャー イン アクション・教室での異文化体験]. 南雲堂. Bennett, M. (1998). 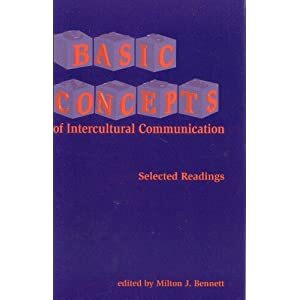 Basic Concepts of Intercultural Communication: Selected Readings. Nicholas Brealey. Jandt, F. E. (2012). 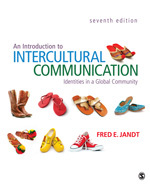 An Introduction to Intercultural Communication: Identities in a Global Community (Seventh.). Sage Publications, Inc.
Shaules, J., Tsujioka, H., & Iida, M. (2003). 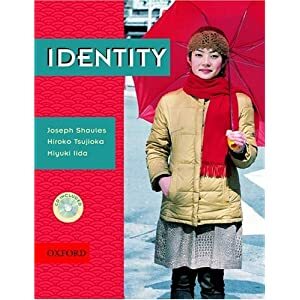 Identity: Student’s Book. Oxford University Press. Ting-Toomey, S. (1999). Communicating Across Cultures (illustrated ed.). Guilford Pr. Kawabe, J.Obashi,Y.,Suzuki, H., Whitney, J.C., (2002) Daily Oral Communication, Tokyo:Ikeda Shoten.